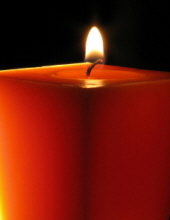 Judith Lee Scott, age 77, of Williamsburg, Kentucky departed this life on Sunday, November 11, 2018 at her home. She was born on August 12, 1941 in Hamilton, Ohio Earl and Ruth Scott. She was also preceded in death by her daughter, Jo Ellen Francis and a sister-in-law, Loretta Scott. She is survived by her children, John Wesley Francis III (Deborah) of Hamilton, Ohio and Rebecca Meadows (Leslie) of Williamsburg; four children, John Wesley Francis IV, Kristine Blakley, David James Cook and Bryson Wayne Meadows; ten great grandchildren; sister, Joann Kelly of Somerset; brother, Forrest Scott of Middletown, Ohio; several nieces and nephews; and a host of other family and friends to mourn her passing. To send flowers or a remembrance gift to the family of Judith Lee Scott, please visit our Tribute Store. "Email Address" would like to share the life celebration of Judith Lee Scott. Click on the "link" to go to share a favorite memory or leave a condolence message for the family.